Sugary Beverages: To Tax or Not to Tax? In California, that is the Question. On June 28, 2018, Assembly Bill (AB) 1838, the Keep Groceries Affordable Act of 2018, became law. Under AB 1838, California cities will not be able to place excise taxes on sugar-sweetened beverages (SSBs) until January 1, 2031. Local and state governments in the United States collect various forms of taxes. According to the Internal Revenue Service (IRS), “excise taxes are taxes paid when purchases are made on a specific good, such as gasoline.” The main difference between an excise tax and a sales tax is that the latter usually applies to everything you buy whereas an excise tax only applies to a targeted item. Another difference is that an excise tax is built into the price of an item, increasing the shelf price of the item (what consumers see before deciding to purchase the item) while a sales tax is added at the cashier (what consumers see after deciding to purchase the item). For this reason, excise taxes are used to deter the consumption of certain goods, such as cigarettes and alcohol. How do excise taxes on sugar-sweetened beverages work? Measure D does not tax diet beverages, milk, meal replacement drinks, baby formula, and alcoholic beverages. The tax measure also established an SSB product expert panel to reduce SSB consumption and minimize the effects of SSB consumption. This ordinance went into effect in January 2015 and is set to expire on January 1, 2027. Why are cities taxing sugar-sweetened beverages? The negative health consequences of sugary beverages in children and adults are well documented. In fact, according to the World Health Organization, sugar-sweetened beverages are associated with overweight and obesity in children, putting them at a greater risk of developing type 2 diabetes, high blood pressure, asthma, sleep disorders, liver disease, tooth decay and others. Drinking one or more SSBs a day increases a child’s likelihood of becoming overweight or obese by 55 percent. Although taxing SSBs is not the cure for all obesity and obesity-related illnesses, reducing SSB consumption is believed to be an effective tool in a comprehensive strategy to improve the health of a population. Can taxing sugar-sweetened beverages lower their consumption? In the United Kingdom, a 10-pence-per-ounce tax (10 pence is about 13 cents in the US) on SSBs was associated with a decline in SSB sales. According to a 2013 Harvard study, a one-cent-per-fluid-ounce tax on SSB resulted in a 16 percent drop in the sales of high-calorie beverages. Researchers from UC Berkeley also concluded that consumption of SSBs in Berkeley decreased by 21 percent after Berkeley instituted the SSB tax in 2015. Furthermore, the fact that the American Beverage Association spends millions of dollars to stop SSB taxes is another indication that SSB taxes work. Which cities in the United States currently tax sugar-sweetened beverages? California cities all collect a one-cent-per-ounce SSB tax. In Illinois, Cook County’s one-cent tax on SSBs was repealed on October 11, 2017. What exactly will Assembly Bill 1838 do? AB 1838 limits the ability of local governments to impose an excise tax or fees on all groceries including sugary beverages. “Groceries,” as defined by AB 1838, excludes alcoholic beverages, cannabis products, cigarettes, tobacco products, and electronic cigarettes. 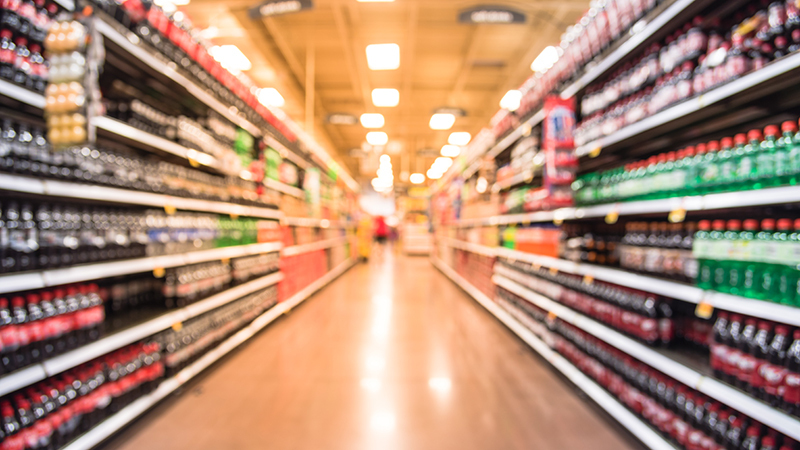 While Berkeley and other cities with existing SSB taxes will not be affected, Sacramento, Santa Cruz, Richmond and others that were considering local tax measures on sugary beverages will not be able to do so until January 1, 2031. AB 1838 has a retroactive effective date of January 1, 2018. Health implications aside, the controversy surrounding AB 1838 arose from the manner in which this bill became law. The American Beverage Association funded a ballot measure that, if passed, would have made raising all state and local taxes difficult by requiring a supermajority rather than a simple majority votes to raise new or existing taxes. The American Beverage Association agreed to withdraw this initiative from the November ballot on the condition that AB 1838 became law. Click here to read Governor Jerry Brown’s signing message for AB 1838. What is next for the tax on sugar-sweetened beverages? Arizona and Michigan already banned local SSB taxes, although none of their cities or counties were taxing SSBs. In Oregon, a proposal to ban SSB taxes (Measure 103) has gathered enough signatures to be on the ballot this November. Since Oregon does not have a statewide sales tax, Measure 103 will prevent any tax or tax increases on groceries, including SSBs. Like AB 1838, Measure 103 will exclude alcohol, tobacco, and marijuana. In Washington, supporters hope that a similar ballot measure against local SSB taxes will qualify for their November ballot. In California, the California Medical Association and the California Dental Association have filed a proposed ballot initiative for the 2020 election that will reverse the provisions of AB 1838 and establish a statewide 2-cents-per-fluid-ounce tax on SSBs. Dr. Helen Jung is the Senior Health Policy Analyst for IHPL and serves as an Assistant Clinical Professor in Loma Linda University’s School of Public Health. She conducts policy research and analysis as well as developing publications on key policy issues for the Institute and the Adventist Health Policy Association. Dr. Jung received her Doctorate in Health Policy and Management from UCLA’s Fielding School of Public Health and holds a Master of Public Health from the University of Michigan, Ann Arbor. For more information, contact Helen at: helenjung@llu.edu.